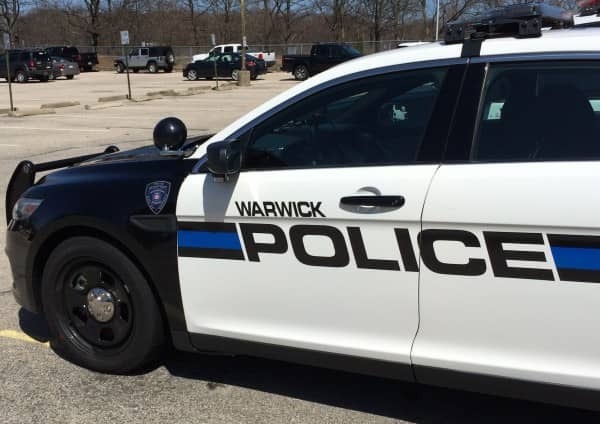 WARWICK, RI — Among the thousands of arrests and crime reports handled by the Warwick Police Department, there are usually a few that aren’t open-and-shut cases. And when police need the public’s help in gathering more information or identifying suspects, they turn to the Rhode Island Most Wanted website. — and an update on one past case that moved through the courts this year. Just after Thanksgiving, 2017, a man walked into the Citizens Bank at 10 West Shore Road and demanded cash from a teller. He did not show a weapon, and left the bank with an undisclosed amount of cash. Joseph Amatel, 53, of Cranston, has been sentenced for robbing the Citizens Bank in Hoxsie on Nov. 27, 2017. Warwick Police issued a call for information from the public, and on Dec. 4 arrested Joseph Amatel, 54, on a felony charge of first-degree bank robbery. Because the arrest violated terms of parole set in a robbery case from 2012, Amatel was ordered held at the ACI. He is awaiting sentencing on the probation violation. On Feb. 5, Kent County Superior Court Judge John F. McBurney III sentenced Amatel to 20 years, with 10 to serve, on the bank robbery charge. He is also concurrently serving a three-year jail sentence imposed in 2016 for a felony breaking and entering conviction. Following the reported theft of a tablet from the Motel 6 at 20 Jefferson Blvd., Warwick Police used their Facebook page and the RI Most Wanted website to gather information on the suspect. Officers picked up the suspect on Jan. 11 from the Pawtucket Police Department, where he had been arrested on a warrant issued for the tablet theft. According to Rhode Island online court records, Judge Elaine T. Bucci dismissed the case on Jan. 25. Arianna Marks, 26, faces reckless driving and vandalism charges. On Oct. 23, Warwick Police responded to the Mobil Station at 14 Jefferson Blvd. for a report of a woman who had run over “several cases of merchandise” with her car, and nearly struck a delivery driver. Officers later arrested Arianna Marks, 26, of Providence, and charged her with reckless driving and vandalism. She is scheduled for arraignment on Dec. 11 in Kent County District Court. Police are still seeking leads in the April 17 theft of cash from theBuy Cell Fix store at 643 East Ave.
Information posted by WPD on the RI Most Wanted website described the suspect as a tall man wearing a dark hooded sweatshirt, jeans, ski goggles, gloves, and a skull mask. Surveillance cameras recorded the man going straight to the store’s cash register and removing an undisclosed amount of money.The man then fled the store in a gray or silver 2007 to 2010 Volkswagen Passat station wagon, which he had parked on a nearby side street. Anyone with information is asked to call Warwick Police Det. Nadine Parmenter at (401) 468-4200. An Aug. 24 residential breaking and entering case remains unsolved, with Warwick Police seeking information on three suspects recorded on surveillance cameras. [Warwick Police Facebook page] Warwick Police are seeking information on three male suspects in a breaking and entering case. Warwick Police released photos of the three men in September, describing two as white and one as dark-skinned. The three are suspected of breaking into a house on Elmwood Avenue and stealingcash, laptops, and gaming systems.